Philip Larmour qualified as a dentist in 1998 from Dundee University. He has been a Practice owner since 2008. After studying for the Diploma (MFDS, RCS), he was accepted as a Member of the Faculty of Dental Surgeons at The Royal College of Surgeons of Edinburgh. In 2000 he began his hospital career at Pinderfield’s General Hospital, Wakefield, West Yorkshire, where he worked in Oral & Maxillofacial surgery as a Senior House Officer and then subsequently as a Staff Grade. He continued his experience in Oral and Facial Surgery as a locum registrar out of hours during weekends and weeknights. After qualifying as a doctor, he completed the two year Medical Foundation Training at Crosshouse Hospital, Kilmarnock and the Southern General Hospital, Glasgow. 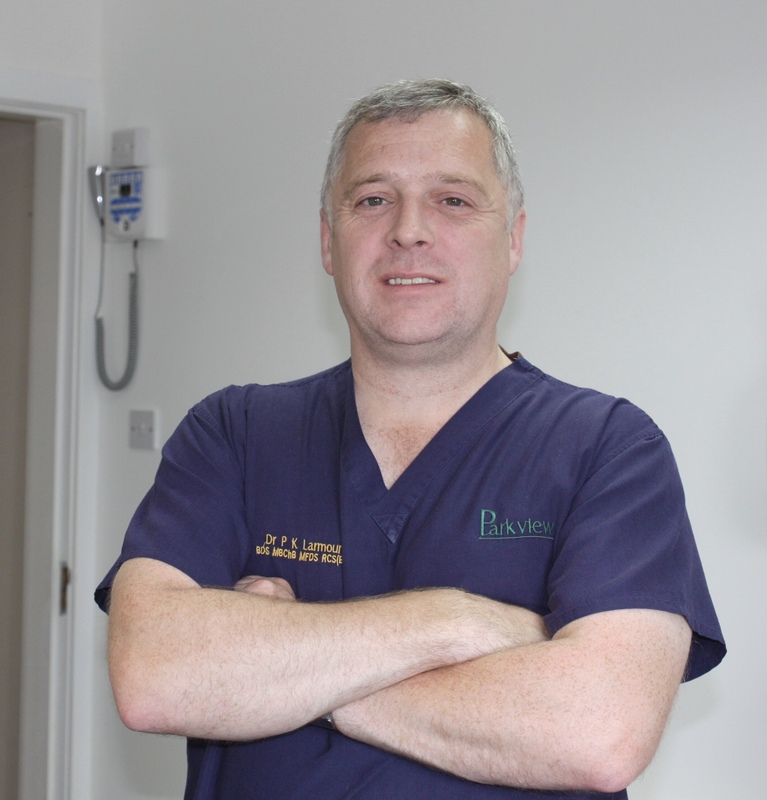 He has studied extensively in Dental Implantology, most recently doing a Master’s Degree at Sheffield University.